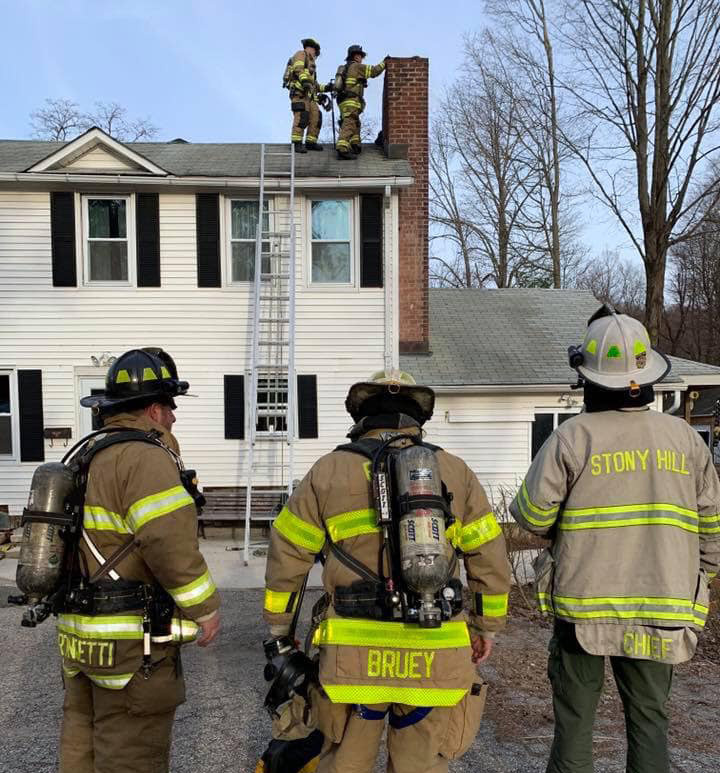 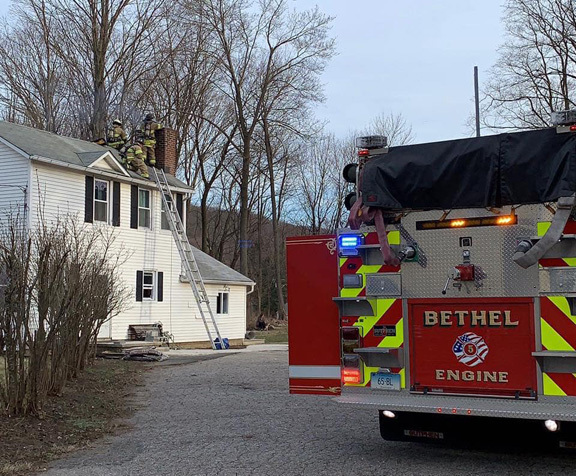 On April 4, 2019, Bethel Fire & EMS along with Stony Hill Fire were dispatched for a chimney fire In the downtown area of Bethel. 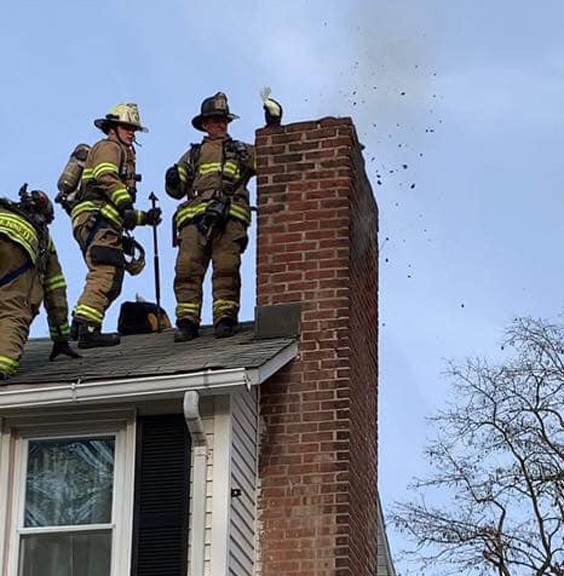 Upon arrival flames were shooting from the chimney opening. 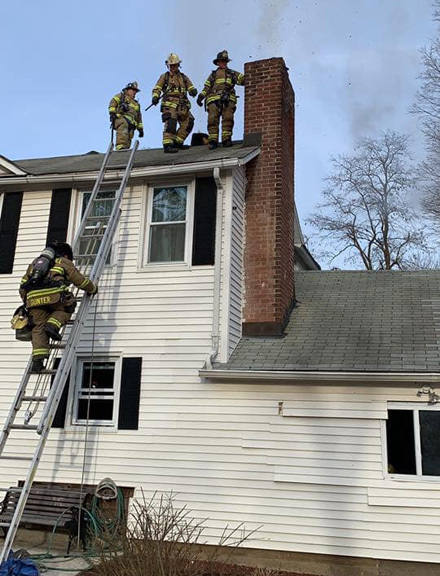 Crews quickly knocked down the bulk of the flames but remained on scene for an extensive time as the chimney was severely clogged with creosote. 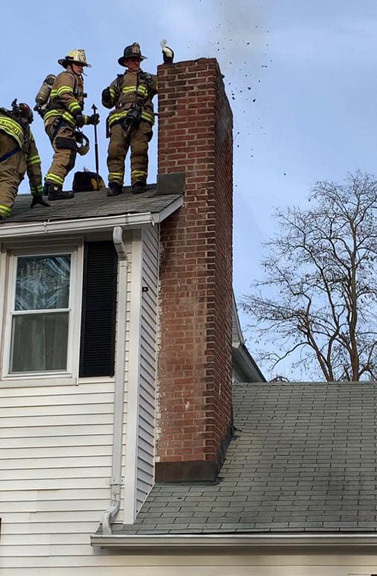 Chimneys should be cleaned & inspected professionally at least once a year to prevent these types of fires. 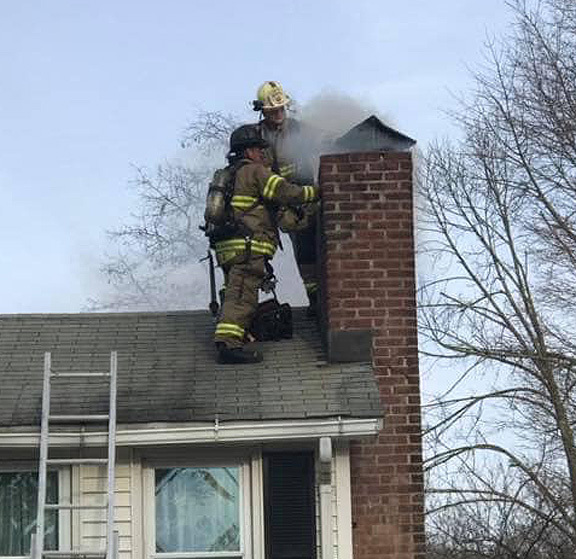 View photos below by Chelsea Berg.